I have alway's loved Polka Dot's from cute little dresses to sweet little Dalmatian Pups! Lucile Ball was my inspiration for wearing Polka Dot's, as everyone know's Polka Dot's were like her signature look in the hit TV series "I Love Lucy", & she looked darling as always. I try to find Modernized pieces that really resemble true vintage piece's, as much as I love the Pin Up Look I prefer more of a Vintage Style. I recently started adding accessories to my wardrobe like these Vintage Pearls I scored at a Vintage Thrift Store. Pearls have always been one of my favorite types of Jewelry aside from Diamonds of course. 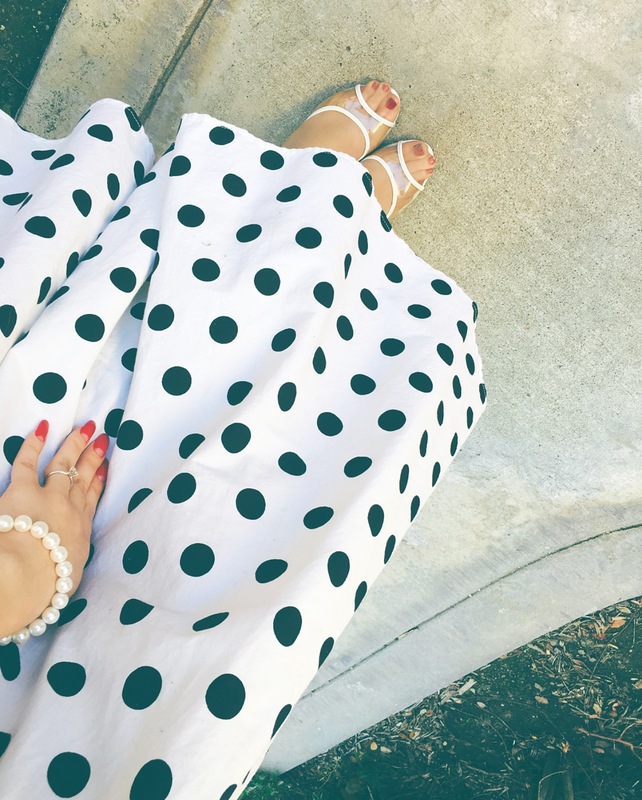 They are so elegant & add a nice touch to simple pieces like my Polka Dot Swing Dress. When I was a little gal, my nana would add pearls to my under garments to jazz them up a bit, or to my hair bows. I always felt like a starlet with my pearls & fake costume jewelry. PettiCoat's, Pearls, Diamonds, 5inch Mules, Elegant CockTail Dish Hats, & HalfMoon Manicure's are a few of my favorite things. 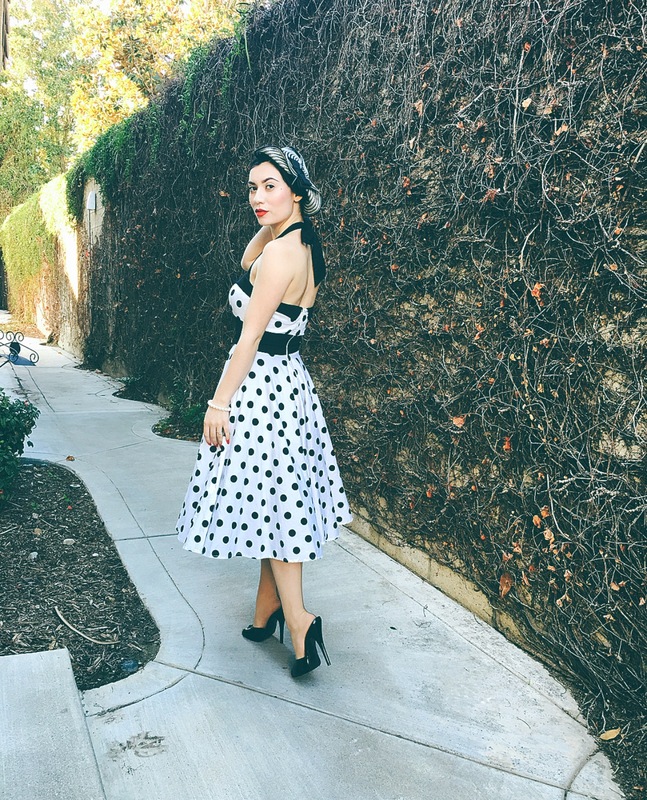 This beautiful piece of Modern Vintage known as the Polka Dot Swing Dress by HellBunny Official was one of my very first Pin Up Dresses. At first I wasn't a huge fan of the Halter Top Style, but it slowly grew on me. Now I love wearing them during those hot Summer heat waves, or during those nice Spring days. The Fabric is so soft & not to thick making it the perfect dress for Spring/Summer, depending on your pattern preferences. The dress has adorable little features such as the darling Black Buttons down the bust & the Black Trim. I am absolutely in love with my Cocktail Dish Hat Fascinator from PinUpGirl Clothing it has such darling details such as the Black Feather Arrow & cute Bow to tie it together. It adds an elegant touch to any hair style, wether you were it with a Bun, Rita Hayworth Waves, or a striking Marilyn Pageboy. The Swirly Strip Pattern was fun to mix with the Polka Dot's on the HellBunny Swing Dress, its bold & daring! I am new to wearing hats, for quite sometime I thought my face shape just wasn't meant for them now I LOVE them! Today's Make Up Details are my go to Essentials for a Quick Simple Vintage Glam using my favorite brand Besame Cosmetics. I recently purchased their Black Cake Mascara to coat my lashes, the texture is so unique compared to our new aged Mascaras. It's by far one of my favorite mascaras that I have tried, & it didn't clump up my lashes! 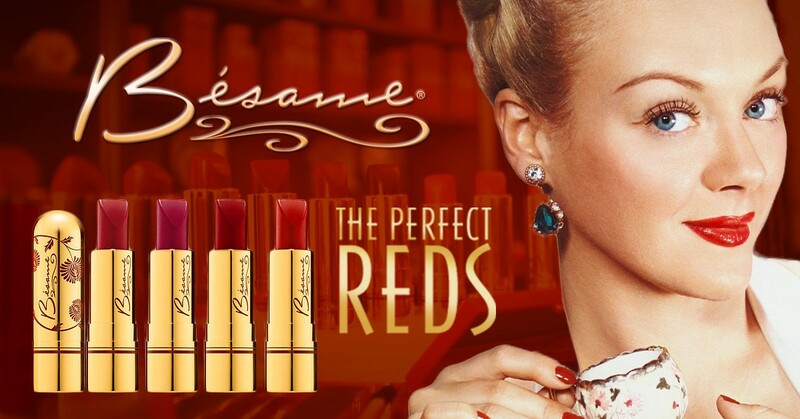 Another new recent purchase that I made with them is their Signature Named Lipstick in shade Besame Red inspired by the 1920's cool blue toned based reds that the women would wear in that era. It's the perfect Matte Red, just like my favorite flower a Rose. I think this may be my New Favorite Lip Shade for everyday wear. As always I buff my skin with their Cashmere Porcelain Face Powder which gives such a nice velvety finish & a perfect matte texture. To Shop Any of these Vintage Inspired Products click this Banner! 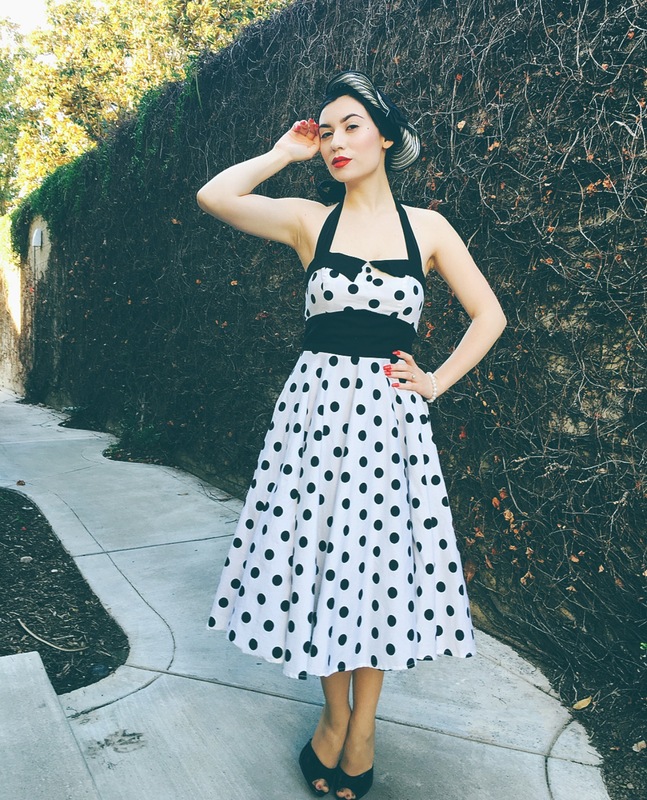 For My Followers Click Here to Receive $20 off of your $100 or more Purchase when adding your Email to ModCloth's Email Subscription to get the most adorable Vintage Pin Up Inspired Styles! Only Valid for New Customers! Truly enjoyed this and all your other posts as well...keep up the great work!